Rolling a proper joint? Here you find absolutely everything you need for a good spliff. Quality materials, for a fair price. This is a great opportunity to refill your stocks, so you can roll a good joint at any time. 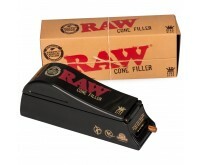 We provide you with long rolling papers, tips, cones or grinders, among other articles. Order quickly and easily! Rolling a joint entails a lot more than just getting your marijuana or hash. You don't have long rolling papers with you, for example? Forget about rolling your joint. Fortunately, we have all the products on our shelves to help you out here. From simple tips to luxury grinders, we have it all! Without rolling paper, rolling a joint is impossible. 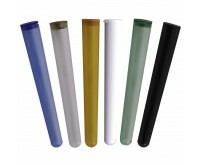 Long rolling paper come in all shapes and sizes. The joint should roll and smoke nicely, of course. Which one is the best now, and most suitable for you? 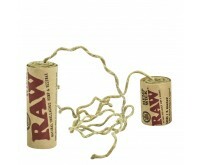 We have a very large supply of long rolling papers. From medium to extra large and king size rolling paper. Each product has clear and honest product information. This ensures you will not be faced with surprises. Besides individual packages of rolling paper, we also offer discount sets, boxes and rolling paper on rolls. Great for the really big users! As a result, you will not only enjoy a nice discount, but you will also have enough rolling stock for a long period of time. Tips are used as a joint filter. Tips are essential for rolling and smoking a joint. It rolls and smokes much better when having a tip that is just right. Well, we have plenty of that on our shelves right now; quality tips for an attractive (low) price! Here you can choose between many types of booklets with tips. Go for normal rectangular tips, or conical tips. Extremely handy. 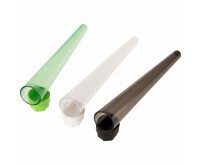 These conical tips are a better fit for a joint, because the tip is conical-shaped when rolling it. Tip of the house! Having trouble rolling a joint? This cone is a perfect product for you. Cones are ready-to-use joints without contents. The joints already come with a tip. The only thing you need to do is filling them with marijuana, hash or tobacco. Cones are available in different sizes. 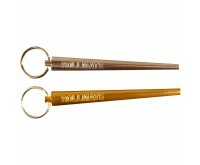 And to make it even easier - yes, it is possible - we also have cone fillers on offer. Cone fillers ensure your cone is ready for use in seconds. Enjoy! Manual Crumbling of Cannabis? Use a Grinder! Grinders make crumbling your marijuana much easier. A grinder consists of two halves with intersections. By filling the grinder with cannabis, and then pressing the two halves together and turning them, you crumble the weed. It allows you to prepare your cannabis for use in seconds, and save a lot of time and effort. Our web shop has metal, plastic and wooden grinders on offer. Make things easy, with a high quality grinder. Questions? Our customer service is available! Do you have any questions about how to roll your perfect joint? Ask our customer service. They are pleased to talk with you. Send us a simple WhatsApp message or email. You will have an answer in no time. That's a promise!